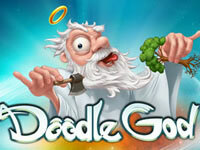 Create the Earth in Doodle God Blitz! Use mouse to play. Place colored pieces into the game field to connect center and the colored sides! Weakening environment and the same time dynamic gameplay. When you'll reach an achievement, check out the game's "upgrades & store" section to get premium features as a gift! Help these Animal parents rescue their little children in this cool physics puzzle game. Pop the Blox to unlock the next Level! Click away same-colored couples of tiny monsters and move the eight keys to the bottom of the game board. Various extras will help you ! Your goal is to load boxes into a truck in a certain order. The new adventures of little but strong Truck Loader and his faithful magnet.